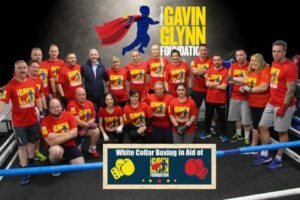 On March 8th, 26 volunteers will be competing in a charity boxing match in aid of The Gavin Glynn Foundation. This foundation supports and enables families, with children fighting cancer, to travel overseas to avail of treatment. Supports provided include assisting families with their flights, accommodation and food/living expenses.